The chemicals and process sectors are among the most energy-intensive in the world, consuming huge quantities of both heat and electricity. This makes them ideal candidates for taking advantage of Combined Heat and Power (CHP), but making the most of such an investment requires some careful consideration. As the name suggests Combined Heat and Power (CHP) - sometimes known as cogeneration – is a technology based around generating both electricity and heat from a single fuel source, most commonly natural gas. Anyone with experience in the process sector will recognise that combining the two is much more efficient than generating them separately. After all, conventional power stations produce their electricity by driving turbines with steam – steam that is usually just released from the plant‘s chimneys. This is a natural consequence of the fact that electricity is so much easier to transport than heat, but many plants have a large enough demand for both heat and power that installing a system capable of producing both on-site can generate significant savings. According to statistics compiled by the UK government, by taking advantage of the heat wasted in conventional power generation CHP plants can reach efficiencies of more than 80%, while coal and gas-fired plants struggle to achieve more than 40 per cent. This boost to efficiency can mean a significant drop in overall energy costs, which has a huge impact on spending in the heat- and power-hungry chemicals and process industries. The Association for Decentralised Energy estimated that by investing in CHP, industrial users can reduce their primary fuel use by up to 30 per cent. The chemicals sector is by far the UK’s biggest single industrial energy consumer. Every year plants all over the country burn the equivalent of 3.4m tonnes of oil and spend around £2bn buying in fuel and electricity. Though there are substantial initiatives in place across the industry looking at the best ways to boost process efficiency, it is also possible to reduce the financial and environmental costs of producing the energy in the first place. 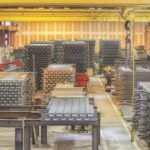 This can be difficult for companies that rely almost entirely on electrical, but the chemicals and process sectors also require huge amounts of heat. According to a report commissioned by the UK government, only 36% of the energy consumed by the chemicals sector is electrical while the rest is used to produce process heat and steam. 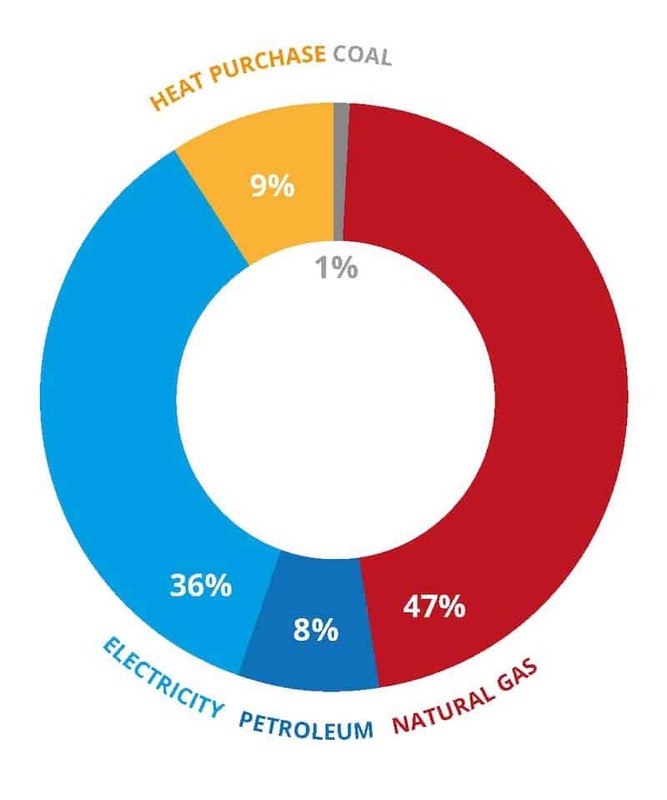 Natural gas – commonly used in boilers - represents 47% of the fuel used by the industry. This high and usually steady demand for both electricity and heat means the chemicals sector is perfectly positioned to take advantage of the benefits offered by CHP. The technology is already being used at 53 chemical sites across the UK and generates a significant proportion of the energy used in the sector. With fuel costs becoming increasingly unpredictable, the importance of the technology continues to grow. Indeed, over the past ten years most industrial energy users had their costs rise by more than 120%. 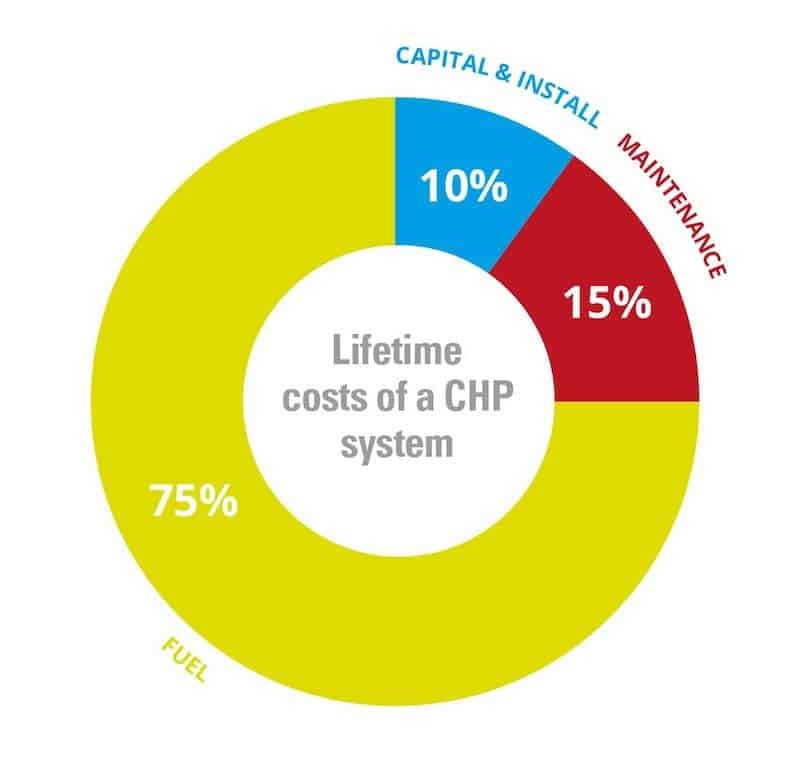 Users that take advantage of CHP plants saw their costs rise by less than half of this figure. At the same time, the focus on sites’ environmental performance and emissions is also increasing year on year – something with potentially huge consequences for the chemicals sector. As things stand, producing the energy needed to supply the industry emits an estimated 18 million tonnes of CO2 every year. By reducing the amount of fuel being burned, CHP technology can dramatically reduce the amount of emissions associated with a chemicals or process site. 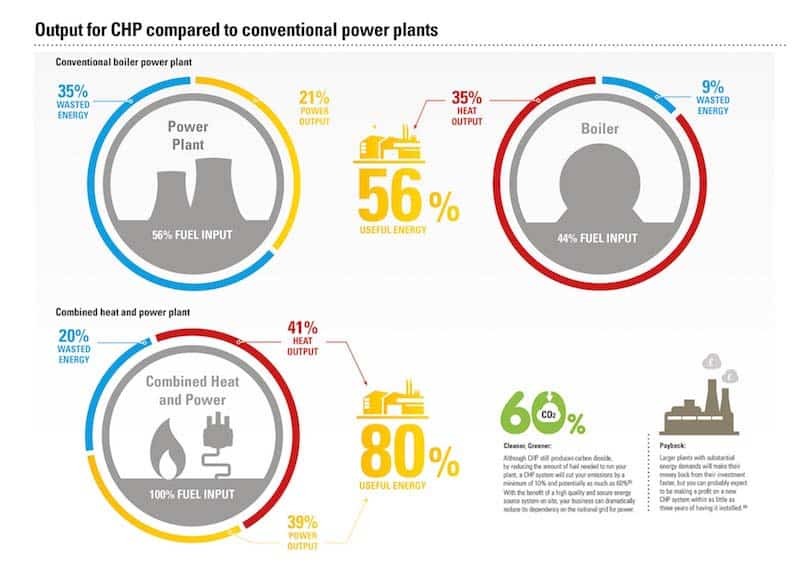 How much could Combined Heat & Power (CHP) save? While a CHP system would almost certainly save money for any industrial user with a high demand for both power and heat, the size of these savings depends on several factors. These range from the cost of natural gas in the area where the site is based to the quality and reliability of the system itself. It is likely that the biggest single variable will be how energy-intensive a site is. For example, a chloralkali facility that is spending half of its operating costs on fuel and electricity could potentially make huge savings. Those that spend a higher proportion of their budget on feedstock and have lower energy requirements would take slightly longer to break even on the investment. While this is often beyond an operator’s control, another vital factor is the quality of the CHP system that is specified – especially when it comes to efficiency and reliability. In that respect, any operator would want to make sure they install the best system available, but a new CHP system can be a substantial investment. Even a mid-sized chemicals plant will be considering an investment of several hundred thousand pounds, possibly edging into seven figures for bigger sites and more advanced technology. With this in mind it is easy to see why it can be tempting to try and cut down on up-front spending with a cheaper, less efficient and less reliable system. However, while this short-term thinking may look good on this year’s balance sheet, it can carry a high-cost penalty in the long run. 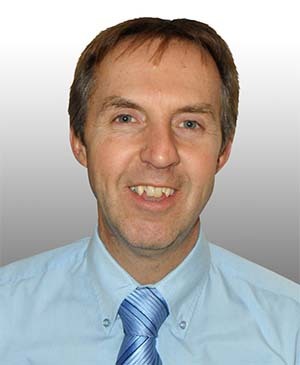 Assuming a standard 20-year lifespan for a system, the maintenance costs alone will likely be larger than the initial outlay so the quality of the product plays a vital role in its financial performance. Fuel costs will be an even larger component of the lifetime costs of a system, making up as much as 75% of the overall spend. Investing in a more efficient product can generate big savings in the long run. At the same time, many of the government subsidies, payments and tax relief designed to support the technology can only be applied to systems that are certified as ‘Good Quality’. In order to meet this standard a CHP systems electrical efficiency must be over 20 per cent and deliver significant savings compared to conventional energy generation, which means choosing to invest in a system that is high-quality and reliable. Securing finance need not be a barrier to installing CHP. Although CHP is a long-term investment, it will often have to compete with other potential business projects that are closer to the company’s core area activities. Furthermore, it may have to compete within a short-term appraisal environment. However, by working with a supplier such as Finning it is possible to put together a firm business case that shows the benefits of CHP, and the cost savings that can be realised, and therefore makes it significantly easier to secure capital funding or debt financing. In many cases it can make more sense to lease a CHP system rather than purchase it outright. This may be in the form of a hire purchase, a finance lease or an operating lease. Under a hire purchase agreement, the purchasing company pays a series of payments over several years. The CHP system would initially remain the property of the supplier, but the customer becomes the legal owner once all the agreed-upon payments have been made. A CHP system represents a substantial investment and when budgets are tight it can be tempting to try and make savings wherever possible, even if this involves specifying a cheaper – but lower quality – system or opting out of an operation and maintenance (O&M) contract. However, it’s worth bearing in mind that a CHP system is an investment that will pay for itself over a course of years. Over this length of time quality and reliability that comes from choosing a well-respected and trusted supplier will always be more than worth it. To help chemical operators learn more about the benefits of CHP and how it can offer low cost of ownership, Finning has produced a dedicated guide. Entitled ‘Combined Heat and Power in the Chemicals Industry – A Guide to Improving Cost of Ownership’, it can be downloaded, for free, from Finning’s website at www.finning.co.uk/chp/chemicals. Combined Heat and Power, Department for Business, Energy & Industrial Strategy. UK Chemical and Pharmaceutical Industry Facts and Figures, The Chemicals Industry Association. Industrial Decarbonisation & Energy Efficiency Roadmaps to 2050 – Chemicals, DECC and BIS. Backing Industrial Productivity: The Combined Heat and Power Opportunity, The Association of Decentralised Energy. Digest of United Kingdom Energy Statistics (DUKES) 2016, Department for Business, Energy & Industrial Strategy. CHP Finance, Department of Energy and Climate Change. Combined heat and power, The Local Government Association.